The Bomber Blue Full Cheek is a unique bit, which produces amazing results for the majority of horses. Ported for tongue relief and very light, can be made with your choice of cheek piece. The Fulmer, or commonly known as the Full Cheek cheek piece, will have the same effect as the traditional Eggbutt. As a result, it will prevent pinching on the sides of the mouth. 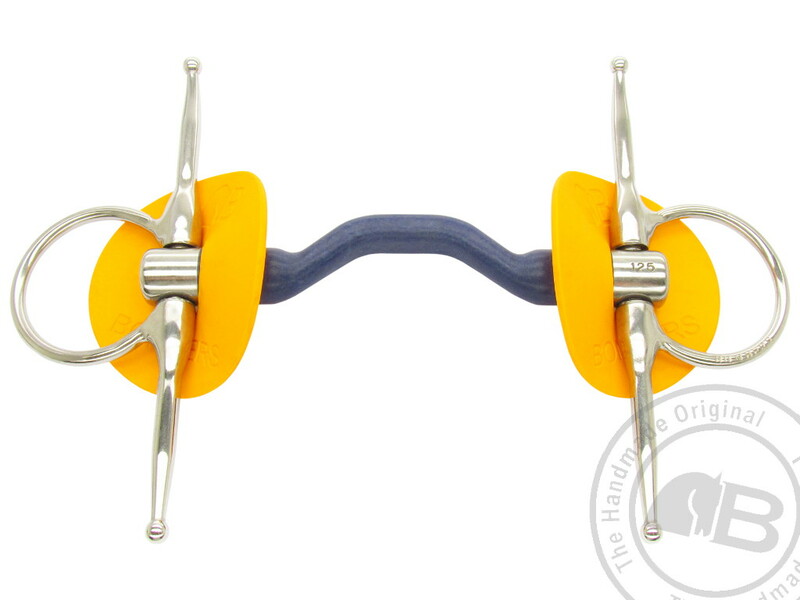 However the extended pins above and below the bit, prevent the bit being pulled through the mouth and have the effect of guiding the horses head which is great for schooling and training purposes. Noteworthy, due to the nature of the material, it can easily be marked by teeth. Therefore, lifetime guarantee is not applicable to these bits if used.